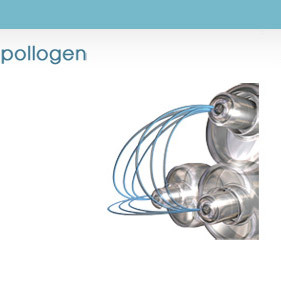 Endermologie® is a specialised treatment for cellulite using the Cellu M6® Keymodule, (a device which uses a small hand-held treatment head with motorised suction and rollers). Wearing a full-length body stocking, the suction and rollers work over the entire body, concentrating on problem areas. Endermologie® works by exercising the skin and body's connective tissue. The controlled suction gently lifts and holds the skin while the rollers act to massage and stimulate the area being treated. Endermologie - Is it new? Endermologie Centurion - Treatments using the original Cellu M6 were aimed at rehabilitating scars, burns and connective tissue disorders. A surprising side-effect was discovered - the reduction of cellulite and significant inch loss from the body. 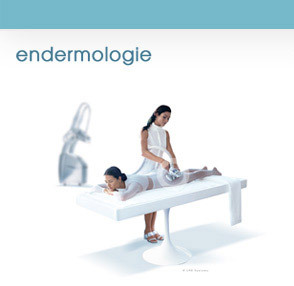 In 1984 Endermologie® became a specific procedure for the treatment of cellulite and body contouring. Over 95,000 treatments are now performed every day in over 90 countries worldwide. Has the technique been scientifically proven? The results achieved by Endermologie® have been confirmed by scientific studies conducted in leadiner American and European universities. Endermologie® was the first FDA (American Food & Drug Administration) approved treatment to reduce the appearance of cellulite. If used correctly there shouldn't be any side affects. Clients are advised to drink plenty of water after the treatment to help flush toxins. Is it more effective than diet and exercise? Exercise and diet are beneficial, but do not break the cellulite cycle alone. We recommend combining a healthy lifestyle while undertaking Endermologie®. Usually people see changes within five or six sessions, however, best results are seen after an average of 15-20 treatments. Results can last up to a few years depending on age, lifestyle and hormonal changes. Maintenance sessions are recommended to extend the effect of the results. Endermologie® is performed by LPG® accredited therapists exclusively trained and equipped with the Cellu M6® Keymodule. The treatment is gentle and relaxing and provides a general sense of well-being and revitalisation. It is a non-invasive treatment that involves no medical procedures or use of any chemical substances, creams or gels. Your skin and body should feel an immediate response after the first Endermologie® treatment. With a tailored course of treatments you will soon discover a healthier, smoother shaped figure. While standing or lying down the skin has a smooth appearance without any dimpling on the surface. The skin has a dimpled appearance when pinched or in a seated position on a hard surface. Cellulite is visible in a standing position although has a smooth appearance when lying down. Cellulite is visible whether standing or lying down.